Every time you go shopping, you make a choice between paper and plastic even if you bring your own shopping bag -- whether to pay in cash or use a credit card. Paying in cash helps you stick to a budget, and it avoids the pitfalls of credit card debt and other card-related costs. On the other hand, credits cards offer greater convenience and can have financial benefits when used responsibly. One of the main advantages of paying in cash is that it forces you to spend money that you actually have. This constraint helps you stick to a budget and avoid overspending. If you go to the mall with $100 in cash, you can't spend more than $100. If you take a credit card instead of cash, you may plan to only spend $100, but you could end up spending more. Shopping with cash avoids the costs of credit card fees and interest. If you don't pay off your credit card in full each month, you have to pay interest on your balance, and credit card interest rates tend to be high. If you accumulate a large amount of credit card debt, it can be a significant financial burden. Credit card companies also charge fees for late card payments, cash advances, foreign transactions and a variety of other activities. Credit cards offer a greater degree of convenience and flexibility than cash. A credit card allows you to pay for unexpected expenses that arise when you aren't carrying a lot of cash. When you use a credit card, you don't have to worry about withdrawing cash from the bank and stocking your wallet with bills. Credit cards can be especially convenient when traveling abroad, since foreign vendors often accept major credit cards but cash must be converted into foreign currency. Online stores usually require that you pay with a credit card. Is 2 Percent APR a Big Difference in Credit Cards? While paying in cash avoids the financial pitfalls of fees and interest, you also miss out on credit card perks. Credit card companies often have rewards programs that offer cash back, frequent flier miles or other benefits when you make purchases. If you pay your card off in full each month and avoid fees, you could come out ahead financially by using a credit card with perks. 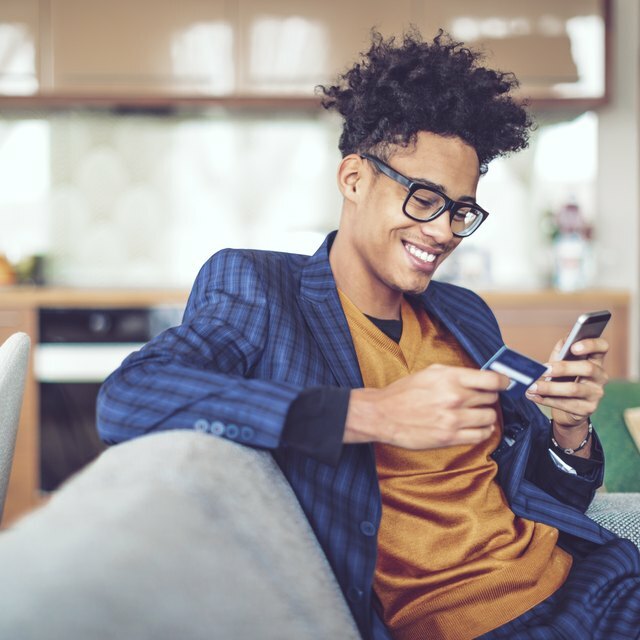 Responsible use of a credit card can build your credit score, which allows you to get better rates on mortgages and other loans.